100 % Cotton. 280 gr, zsebes1 Kangaroo pocket & 2 open pockets. Length 90 cm - Width 62.5 c..
280 g/m2 , 100 % Cotton. Self fabric neck tie with adjustable buckle. Double pocket. Measurements : .. Heavy weight pre-shrunk 100% cotton twill. 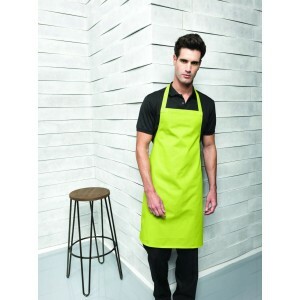 240grNincs zsebMade from OEKO-TEX® Standard 100 Fabric100..
Colours: 65%/35% Polyester/Cotton Twill - 195gsmDenims: 70%/30% Cotton/Polyester Twill - 265gsm..
65%/35% Polyester/Cotton twill. 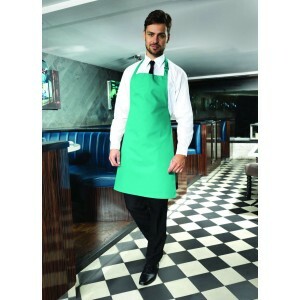 195grMid length (or half apron)Self fabric ties 90cm longWidth 70cm ..
65%/35% Polyester/Cotton twill. 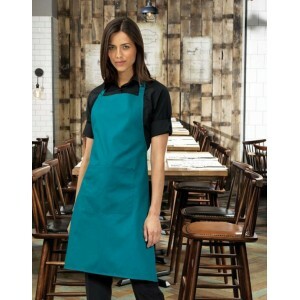 195gsmClassic Premier bib apron with pocket and separate pen pocketS..
65%/35% Polyester/Cotton twill. 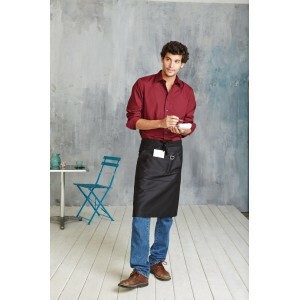 195grShort style bar apron3 open pockets—Tablet friendlyWidth 60cmDr..
65%/35% Polyester/Cotton twill. 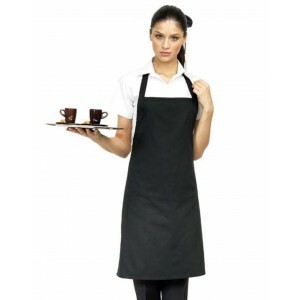 195grLong continental style bar apron90cm self fabric tiesWidth 90cm..
80%/20% Polyester/Cotton twill. 170grEssential Premier bib apronSelf fabric neckSelf fabric ties 75c..
QUALITY - 240gr POLYCOTTON - 65% polyester - 35% cottonSTYLE - Large front pocket with 2 compartment..